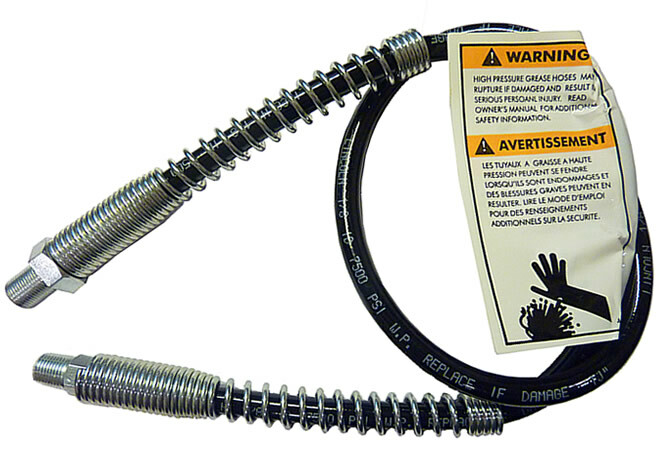 36" heavy duty grease gun hose with spring guards. (For air, battery or hand operated grease guns). Working Pressure = 7,500 PSI. Burst Pressure = 28,000 PSI. Hose Ends =7/16"-27 / 1/8 NPT.